Grass that grows in undesirable locations, such as between the cracks of a sidewalk, can be killed with chemicals called non-selective herbicides. Every herbicide, even ones with the same active ingredient, can have different strengths. Therefore, purchase herbicides in a ready-to-use container for easy use. If this is not practical or economical, dilute and apply with an herbicide pump sprayer for faster application. Always read the label for the correct dilution, dosing and application directions. Also, wear protective clothing, including goggles, and keep children and animals away during application. Glyphosate is used to kill all vegetation, including all grass types. 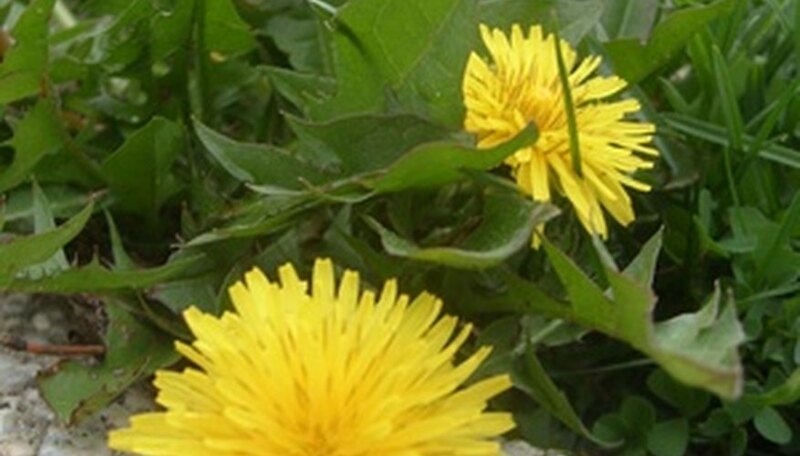 It is often used to kill both grass and weeds at the same time. Glyphosate is widely sold under the brand name Round-up, but other non-name brands with the same active ingredient are just as effective. Spray directly on the green grass you want to kill. Glyphosate will work its way down to the roots and kill the grass within seven to 10 days. Glufosinate is often used to kill grass on a lawn in order to start over since chemical remnants do not stay long in the soil. New grass can then be planted within a week or two after treatment. Glufosinate is applied directly to the grass and usually works within two days. Perlargonic acid burns and kills grass soon after contact. In fact, it will begin to kill the grass in 1/2 to two hours after application. Since perlargonic acid only works on the grass that it comes in contact with, reapplication is often needed. Unlike most herbicides, perlargonic acid works better on days that are warmer than 80 degrees Fahrenheit. Diquat needs a surfactant to help it adhere to the grass. It also does not work as well as other chemicals, but if it works, grass will show damage within 24 hours of application. For these reasons, diquat is often sold mixed with glyphosate.